MK Motti Yogev: Only sovereignty in Judea and Samaria will provide the real response to terror attacks. MK Motti Yogev (Jewish Home) on Sunday called on the government to apply Israeli sovereignty in Judea and Samaria in response to the murderous terrorist attack at the Ariel junction. "Alongside the war on terrorism, we must strengthen the settlement enterprise in Judea, Samaria, and the Jordan Valley. 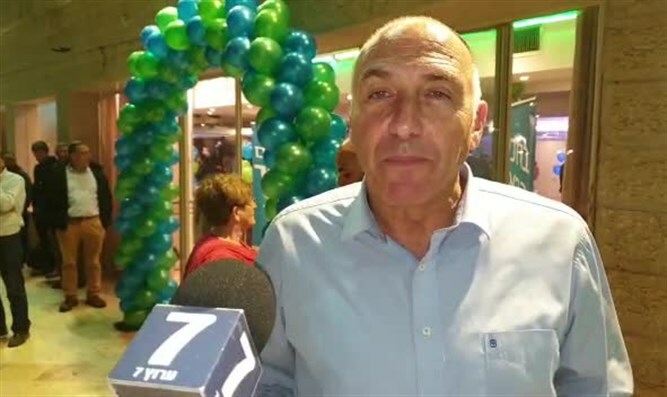 There is still something to be done to strengthen the policy of deterrence and the judicial system that is not doing enough to destroy the homes of the terrorists and expel their families," Yogev told Arutz Sheva. "But at the same time,” he continued, “we must cut off any political hope for the establishment of a Palestinian state of murderers that has never existed and will never exist. The direction should be to apply sovereignty everywhere in the land of Israel and to bring hundreds of thousands of Jews to the Galilee, the Negev and to Judea and Samaria, continue to strengthen our grip and continue to fight terrorism. That's the answer." "One day we will have no choice but to embark on an operation, as we did in the past in Operation Defensive Shield, to return to security and humanitarian control in the Gaza Strip as well. My perception is that one day we will also resettle the Gaza Strip because only a return to these lands will lead to security for the Gaza envelope and for all areas of Israel towards which rockets are fired,” he continued. "Only in this way, of returning to control of the territories of the land of Israel and not turning them into bases of terror, will we be able to restore security, and it will depend on national consensus."